Wears Valley, Tennessee, is one of the best-kept secrets in the Smokies. This historic community is at the doorstep of a sparsely traveled entrance to Great Smoky Mountains National Park, and we bridge the gap between all the activities of Pigeon Forge, Gatlinburg and Sevierville and places like Townsend, Tennessee, that are on the "peaceful side of the Smokies." All the overnight rental companies represented here offer some of the finest accommodations in the area. Choose from cozy cabins or grand, majestic ones, depending on the size and purpose of your party. And while you're here, kick back in style with the latest luxuries amenities, such as hot tubs, kitchens, game rooms, Internet access and more. Of course, don't forget to stake out your spot on the porch or deck, put your feet up and enjoy those Smoky Mountain views. For those who really want to stay in the mountains, consider a cabin or chalet in Wears Valley, TN. This scenic valley is a part of the Smoky Mountains and borders the national park. Yet it is only a 10 minute drive to Pigeon Forge or 15 minutes to Gatlinburg, TN. Wears Valley offer some of the best mountain views in the area but is still nearby to all the family fun, shows and attractions. Several rental companies offer cabins in Wears Valley. Areas include Wonderland Ridge, Cove Mountain, Hickory Hollow, Dogwood Farms, Wilderness Mountain and others. Decide on a cabin size: 1 - 18 bedrooms and a cabin location and then enjoy your Wears Valley vacation. Learn more about Tennessee cabins in Pigeon Forge, Sevierville, and Gatlinburg. 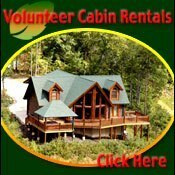 Based in the heart of scenic Wears Valley, TN, Volunteer Cabin Rentals makes the most of its Smoky Mountains location. Surrounding features like Cove Mountain and other majestic ridges are the ideal setting for our Wears Valley rental cabins. We offer a wide selection, from cozy and intimate to grand and spacious. Our locations range from charming sites in the valley floor to lofty ridge-top perches that afford amazing views of the area's landscape. Many cabins offer privacy and seclusion for those seeking refuge in the mountains, but amenities like wireless high-speed Internet service and handy access to Pigeon Forge and Gatlinburg ensure that you'll never be too far out of touch. Book online or call 800-808-3903. 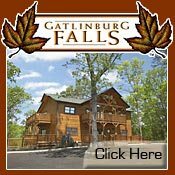 If you're searching for elegance and amenities in an overnight rental, take a look at what we have to offer at Gatlinburg Falls Resort. Our selection includes cabins that range from cozy, one-bedroom properties that are ideal for honeymoons or romantic getaways to nine-bedroom lodges capable of hosting 32 guests for a family reunion or corporate retreat. Regardless of your reasons for visiting Gatlinburg and the Smokies, you'll find that our Heritage Log Home cabins benefit from private, heavily-wooded home sites and luxury amenities like fireplaces, hot tubs, whirlpool baths, game rooms and more. It's peace and serenity the way you've only dreamed about. 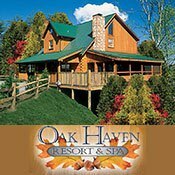 Oak Haven Resort And Spa in Sevierville, TN, makes the most out of its wooded mountain setting. Our luxury cabin rentals offer from one to seven bedrooms, which means we're capable of accommodating everything from large families and church groups to corporate retreats and honeymoon trips. Guests enjoy a wide slate of topnotch standard features like daily housekeeping, full kitchens, hot tubs, wireless Internet service, gas fireplaces and gas grills. Some cabins have extras like big-screen TVs, DVD combos and game rooms. Our resort property also has such amenities as an on-site day spa, swimming pool, basketball court, a playground and conference facilities for retreat meetings. Call us today at 800-228-4016. If you're looking for the ultimate in all-occasion event facilities in the Great Smoky Mountains, you'll be hard-pressed to find any location that outshines Moose Hollow Lodge near Wears Valley, Tennessee. This multipurpose property was designed to accommodate virtually any group-event need, from weddings and family reunions, to corporate retreats and church gatherings. The chapel and event center is equipped to handle any event with everything from the latest tech gear to tables and chairs that are included in your rental fee. Meanwhile, as many as 56 guests can stay on site thanks to the nine-bedroom lodge that features out-of-this-world amenities, like a 22-seat movie theater, game room with video arcade, gourmet kitchen, heated indoor pool and much more. 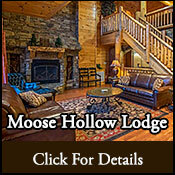 Experienced Smoky Mountain vacationers know that staying in a luxury cabin in the mountains is the only way to go. 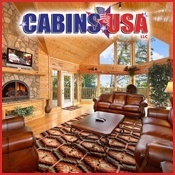 And previous guests of Cabins USA know that our inventory of more than 250 cabins guarantees getting the most out of a trip to the Smokies. We have everything from one-bedroom properties for honeymoons and romantic getaways to seven-bedroom units that can handle family or work-related retreats. Each cabin offers features such as breathtaking views, hot tubs, fireplaces and full kitchens, while our scenic locations combine seclusion and privacy with convenient access to all the area attractions, shops, restaurants and Great Smoky Mountains National Park. Selection is important when choosing Gatlinburg, Pigeon Forge, Sevierville or Wears Valley cabin rentals. And that?s exactly what you get when choose your cabin from Hidden Mountain Resorts. We have more than 250 luxury cabins from which to choose, and with our properties located in two different resort locations, we?re sure to have something that will place you in the location you desire most. Most of our cabins are within a stone?s throw of Pigeon Forge and Sevierville, but you?ll also find that Gatlinburg and Wears Valley are also just a short drive away. Our high-quality cabin construction and full slate of amenities mean that you?ll enjoy your stay enveloped in sturdy, upscale comfort. Whether you?re relaxing in an outdoor hot tub, grilling out on the deck, shooting a game of pool or gathered round the flat-screen TV to enjoy a movie with the whole gang, our rentals are designed to make sure you enjoy your entire Smoky Mountain vacation. 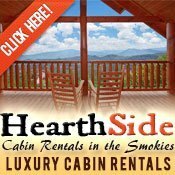 Are you looking for the best overnight cabin rental in Gatlinburg, Pigeon Forge or the Smoky Mountains area? Our Gatlinburg and Pigeon Forge cabins have amazing mountain views, game tables, hot tubs and are next door to Dollywood and Pigeon Forge shopping, restaurants and fun attractions! Many of our cabins are even pet-friendly. Whether you want to just relax and rejuvenate your soul, shop until you drop, pursue romantic plans, or entertain/educate your children, there is so much here for you to enjoy -- and it is not expensive, either! give us a call at 1-888-993-7655, or visit our website at www.hearthsidecabinsrentals.com. 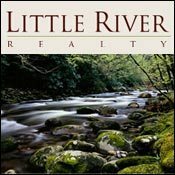 Located just a few minutes from Great Smoky Mountains National Park, Little River Realty has one of the area's greatest selections of Wears Valley cabin rentals. Our properties offer views of impressive Cove Mountain as well as other Smoky Mountain peaks, rolling foothills and expansive green valleys. We are also a short drive from Pigeon Forge and Gatlinburg, Tennessee, which have a lot in store for visitors seeking fun attractions, shops and restaurants. Of course, our rental cabins can be your home away from home, offering not just views and picturesque locations but all the luxury amenities that you could expect, whether your goal is to make it a short romantic weekend or an extended family vacation. 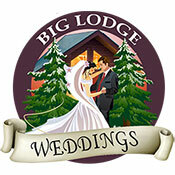 Wedding planning doesn't have to be stressful, and at Big Lodge Weddings, they've made sure that every aspect of planning and hosting your big day is handled professionally and with the ultimate in convenience in mind. What makes this mountain property near Wears Valley, TN, unique is that couples and guests have full access to an array of event facilities that are all in one location. That's everything from the chapel (or outdoor setting, if you prefer) and the reception hall to a nine-bedroom lodge that can sleep as many as 56 overnight guests. Along the way, Big Lodge Weddings planners are available to help you work through all the details, from photographers and florists to live entertainment and catering.